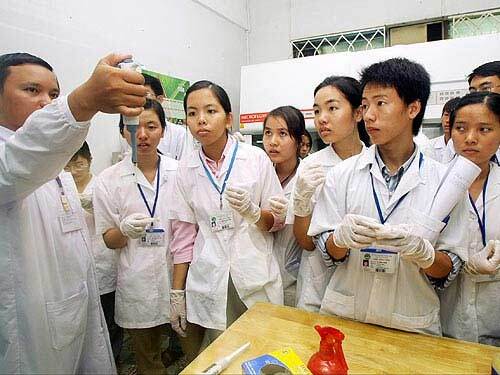 HA NOI (VNS)— More than 60 major courses will be re-included in university entrance examinations this year, said Bui Anh Tuan, Head of the Department for Higher Education. Just a month ago, the Ministry of Education and Training suspended 207 courses at 71 universities nationwide due to a lack of qualified full-time lecturers. After considering reports from nearly 30 universities, 62 of the courses have now been allowed back. Most of them are connected with the arts and the study of languages. The Ministry has relaxed the rules slightly until 2017. Its main objective is to include more courses - and thus more students - but, at the same time, keep the quality of education high. The solutions are only short term, Tuan said. If colleges cannot find enough full-time lecturers within three years, they will then lose the major courses.